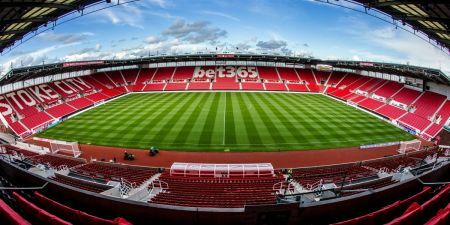 Stoke City FC, who last season played host to the ESFA Danone U11 Schools’ Cup Finals, will this year once again welcome the ESFA to their stadium in order for the Association to stage 16 of their 45 National Finals. Friday 11th will see four very different National Finals take place at Stoke with a mixture of Elite Schools’ Finals and Rep Team football. The U18 Elite Schools’ Cup Final will kick off the day’s events followed by the U15 PlayStation Schools’ Cup for B Teams, the U14 PlayStation Schools’ Cup for B Teams and followed up with the ESFA U16 Inter County Cup for Boys. For the first time in recent seasons, the ESFA will be hosting Rep Team Finals on a Saturday and hope to welcome along a bumper crowd to share in the experiences brought about by the day. Two U14 Inter County, one U16 Inter County and one U18 Inter County Cup Final will take place over the day, crowning another four champions. On the final day of ESFA events at Stoke City FC, two Inter District finals, and two PlayStation Schools’ Cup finals will take centre stage to round off the festivities. Full details on each day will be posted shortly – please check our Twitter account for updates and we hope to welcome along some great crowds to support this year’s fantastic finalists!